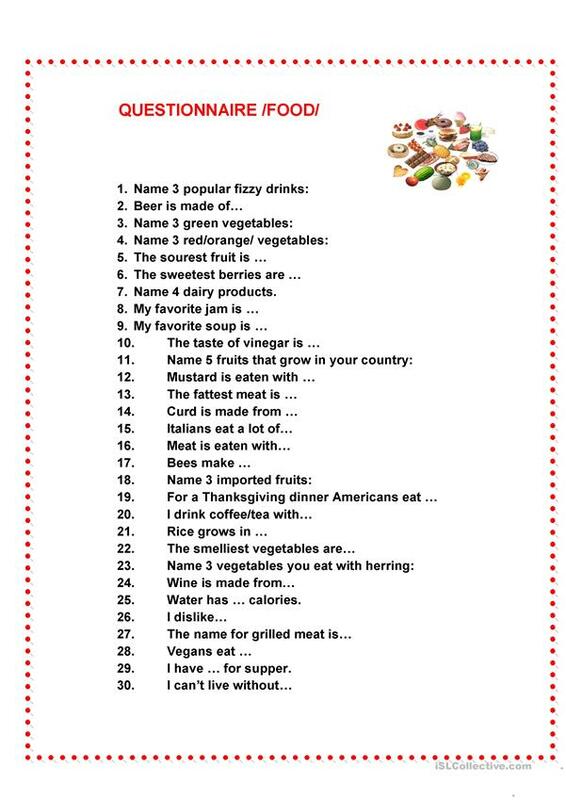 This ws helps to check food vocabulary and spelling. The present printable, downloadable handout is best suited for high school students at Intermediate (B1) level. It is a useful material for practising Nouns in English, and is a valuable material for developing your students' Spelling and Writing skills. It focuses on the topic and words of Food.